^ Cronin, Alexander; Schmiedmayer, Joerg; Pritchard, David. Atom Interferometers. Rev. Mod. Phys. 2009, 81: 1051. ^ George Greenstein; Arthur Zajonc. The Quantum Challenge: Modern Research on the Foundations of Quantum Mechanics. Jones & Bartlett Learning. 2006. ISBN 978-0-7637-2470-2. ^ R. Feynman. Lectures in Physics，Vol. I. Addison Wesley Publishing Company Reading, Mass. 1963. ISBN 9780465024933. ^ 滕琴. 干涉与衍射异同点的探讨. 光学仪器. 2008, 30 (4). ^ Cajori, Florian. A History of Physics in its Elementary Branches, including the evolution of physical laboratories. New York: MacMillan Company. 1899. ^ Jean Louis Aubert. Memoires pour l'histoire des sciences et des beaux arts. Paris: Impr. de S. A. S.; Chez E. Ganeau. 1760. ^ Sir David Brewster. A Treatise on Optics. London: Longman, Rees, Orme, Brown & Green and John Taylor. 1831. ^ Young, Thomas. The Bakerian Lecture: Experiments and calculations relative to physical optics. Philosophical Transactions of the Royal Society of London (Royal Society of London). 1804-01-01, 94: 1–16. doi:10.1098/rstl.1804.0001. ^ Augustin-Jean Fresnel. 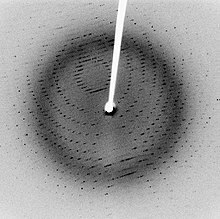 Mémoire sur la diffraction de la lumière,. Mémoires de l'Académie des Sciences (Paris). 1826, vol. 5. ^ Christiaan Huygens. Traité de la lumiere. Leiden, Netherlands: Pieter van der Aa. 1690. ^ ed. Stephen Jordan Rigaud. Correspondence of Scientific Men of the Seventeenth Century..... Oxford, England: Oxford University Press. 1841. ^ 刘战存. 衍射光栅发展历史的回顾. 物理实验. 1997, 19 (1). ^ 李灵杰. 试析光盘道间距测量中光栅方程的适用条件. 大学物理实验. 2011, 24 (4). ^ 高永伟，愈艳蓉. 全息摄影技术的实验研究. 宁夏工程技术. 2011, 10 (4). ^ 19.0 19.1 Dainty C (Ed). Laser Speckle and Related Phenomena. Sprinter Verlag. 1984. ISBN 0-387-13169-8. ^ Andrew Norton. Dynamic fields and waves of physics. CRC Press. 2000. ISBN 9780750307192. ^ 21.0 21.1 21.2 21.3 21.4 赵凯华. 新概念物理教程·光学. 高等教育出版社. ISBN 7-04-015562-1. ^ 22.0 22.1 22.2 22.3 22.4 22.5 蔡履中，王成彦，周玉芳. 光学. 山东大学出版社. ISBN 7-5607-0695-9. ^ 23.0 23.1 23.2 23.3 23.4 郭永康. 光学. 高等教育出版社. ISBN 9787040173918. ^ 26.0 26.1 梁昆淼. 数学物理方法（第三版）. 高等教育出版社. ISBN 978-7-04-005906-9. ^ Propagation of Laser Beam - Gaussian Beam Optics (PDF). National University of Singapore. [2012-04-03]. ^ Mahajan, Virendra. Optical imaging and aberrations, Volume 2. SPIE Press. 1998. ISBN 9780819425157. ^ 杨福家. 原子物理学（第四版）. 高等教育出版社. ISBN 978-7-04-022994-3. ^ M. Jammer. The Conceptual Development of Quantum Mechanics. McGraw - Hill Co. 1966. ^ 钱伯初. 量子力学. 高等教育出版社. ISBN 7-04-017783-8. ^ 34.0 34.1 张艺，沈为民. 固体电子学基础. 浙江大学出版社. ISBN 7-308-04487-4. 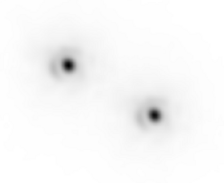 ^ 35.0 35.1 王矜奉. 固体物理教程. 山东大学出版社. ISBN 978-7-5607-1665-7. ^ John M. Cowley. Diffraction physics. North-Holland, Amsterdam. 1975. ISBN 0-444-10791-6. ^ The Nobel Prize in Physics 1915: William Bragg, Lawrence Bragg. The Official Web Site of the Nobel Prize. [2012-03-22]. ^ 程万荣，吴自勤. 铜合金薄膜高温行为的电子显微镜观察. 物理学报. 1982, (10). ^ 39.0 39.1 Grant R. Fowles. 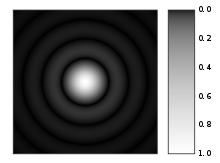 Introduction to Modern Optics. Courier Corporation. 1975. ISBN 978-0-486-65957-2. ^ Ayahiko Ichimiya; Philip I. Cohen. 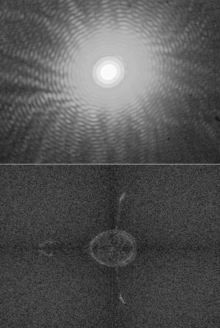 Reflection High-Energy Electron Diffraction. Cambridge University Press. 2004-12-13. ISBN 978-0-521-45373-8.